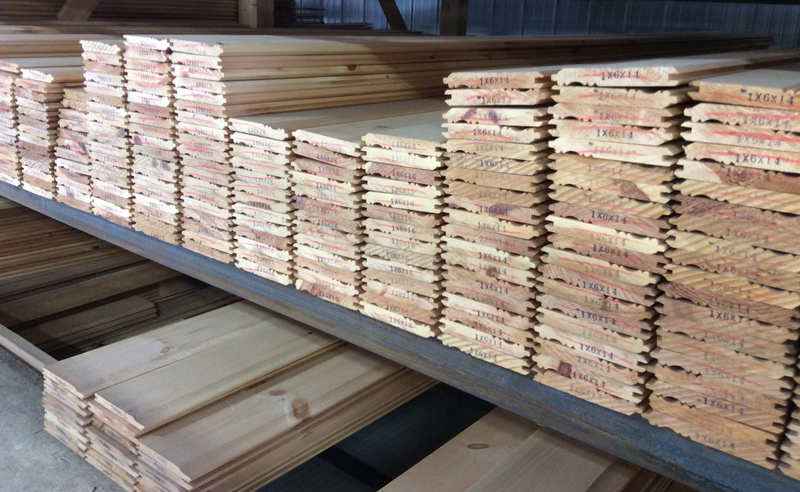 At Bingham Lumber we stock many different and sought after pine pattern profiles. We can stock everything from pickwick, v-groove, edge and center bead, gap panel and channel rustic in a premium grade pine. We also mill custom New England Revival beaded profiles. Our stock items do vary from time to time so please call ahead to make sure we have the profiles, widths and sizes you are looking for. Our custom knife shop can create and produce your custom pattern or match your existing profile, if we do not have a stock profile that suits your needs. Please inquire about custom sizes that are not listed. Lumber bins are sorted for grade, length and width. Channel Rustic Paneling can be found in our lumber bins or run to order. Often referred to as Cove Siding this wood siding is available in many sizes and can be run custom to order. Classic Pine Paneling available in a variety of profiles. Pickwick Pine is available in 6″, 8″ and 10″ widths. Pickwick Pine Paneling in a Nantucket home. The pickwick pine paneling wall in our showroom is stained with a base coat. Contact Us with any questions about stock or availability! Available in 6", 8", 10" shiplap profile. Available in 5", 6", 8", 10" shiplap or tongue and groove profile.